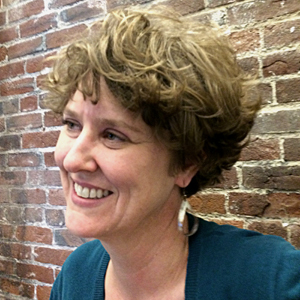 Kate Rutter is an adjunct professor at California College of the Arts. She is a phenomenal UX designer with a strong background in arts and painting, so she sometimes refers to herself as a sketchnoter and graphic recorder. But she also combines her visual skills with data and metrics, particularly in her design process. and how you connect a design metric to business value. 1:50 How Kate got into design? 10:40 Where did Kate get the idea to measure design? 14:30 How to find a design metric for your project? 18:30 What is a good metric? 22:40 What to do if you have the feeling that your metric is wrong? 27:30 Why should metrics be normalized (in form of ratios)? 33:30 Why is measuring design important? 39:30 How focusing solely on metrics can go wrong? 41:40 How do you find a design metric for physical products? 44:00 On what time frame should you collect and analyze data? 46:40 How do you connect a design with a business metric? 51:50 What is one thing about design that Kate changed her mind about?